UPS Inc. and the International Brotherhood of Teamsters have approved a new five-year contract, averting a strike by 11,600 UPS freight workers as the Atlanta-based company heads into its busiest shipping time of the year. The current contract had been extended several times and was due to expire Nov. 12 at 12:01 a.m. Last week UPS presented what it said was its last, best and final offer. Union members approved the pact by a vote of 6,935-2,067 (77% in favor, 23% opposed) as they voted at local union halls Nov. 7-11. Eighty-four percent of workers represented in the bargaining unit voted. PREVIOUSLY: UPS clears freight network, warns of possible strike. “We are pleased that the UPS Freight agreement has been ratified,” UPS said in a statement. “It is an agreement that rewards our employees for their contributions to the success of the company while enabling UPS to remain competitive. 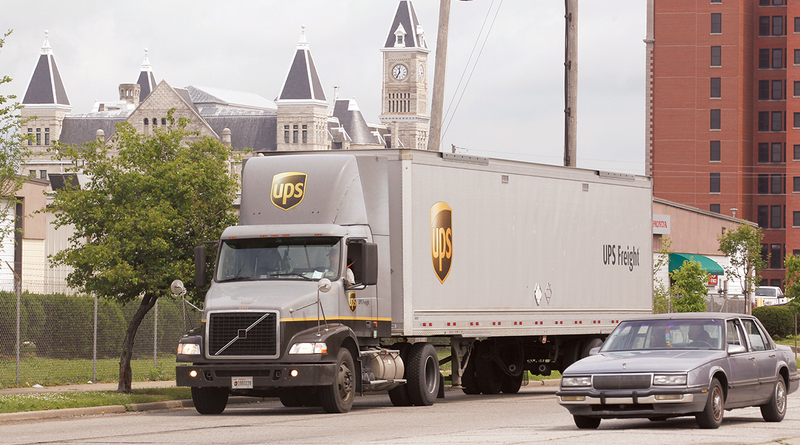 Specific details of the agreement have not been released, however Transport Topics had learned the union wanted UPS to address worker concerns regarding more restrictions on subcontracting and pay protections for drivers who perform dock work. UPS and the Teamsters had been at the bargaining table for most of the summer. In early October, a tentative agreement was reached with UPS Freight, but the union’s membership rejected the proposed contract by a wide margin, forcing the sides to restart negotiations. On Nov. 8, UPS Freight stopped taking shipments and began shutting down that division in anticipation of a strike as it emptied its freight network. The company said it now will resume normal freight operations and be in good shape entering the holidays. The freight division primarily ships heavier goods and bulk shipments that move on pallets. UPS Freight is significantly smaller than its parcel division, which has more than 250,000 package drivers, package handlers and sorters. A new contract for that unit has been ratified and is in effect for five years. Had there been a strike, it would have been the first at UPS since the summer of 1997, when Teamsters walked off the job for 16 days. The freight unit makes up about 5% of UPS’ sales and has the lowest profit margin.